Lot 72 BR (ER) F/F Enamel Station Direction Sign. 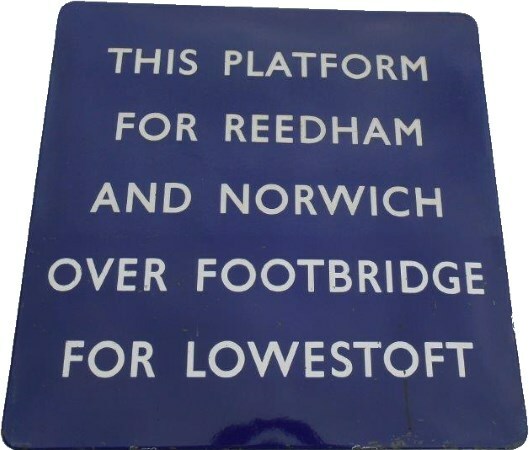 "THIS PLATFORM FOR REEDHAM AND NORWICH OVER FOOTBRIDGE FOR LOWESTOFT". Excellent Condition. Size 30" X 30".